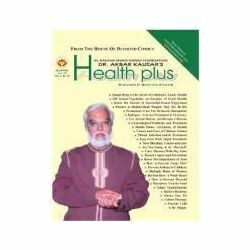 Health Plus magazine is published by Diamond Comics private Limited. The magazine includes plenty of features on health, real life, makeovers, beauty and celebrity interviews related to health. The content is upbeat and informative, and is clearly aimed at providing various useful health tips for the readers. It is available in Hindi and English and is a wonder treasure of medicines approved by renowned doctors. The readers can get complete and reliable treatments for all types of diseases. The magazine also encourages its readers to send the queries to the editor so that the remedies for the diseases can be published in the magazine.